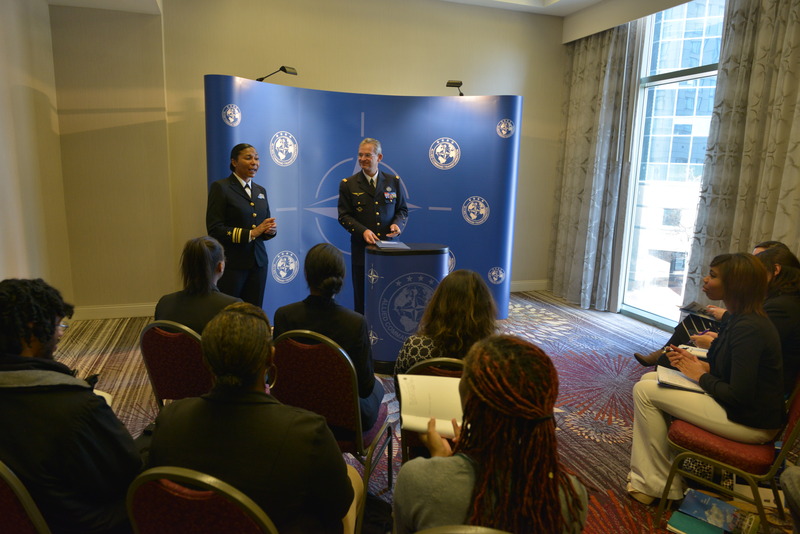 Norfolk, VA- The City of Norfolk welcomed members of The North Atlantic Treaty Organization (NATO) for their annual Chief of Transformation Conference at the Waterside Marriott. NATO is comprised of 28 countries from Europe and North America and all were represented. The 3-day conference featured panel discussions esteemed officers and special guests. The conference included several panel discussions addressing the evolutionizing face of warfare, looking past Warsaw, regional stability, and national security. The general presented his short term expectations, stressing the importance of the rapid response and readiness of forces in the state of an emergency. He urged attendees to look beyond Warsaw, where the organization will meet for the 2016 Summit, towards the future of NATO in Warsaw, Poland. General Mercier later spoke with journalists and highlighted NATO’s recent efforts towards more efficient responses in face of danger. General Mercier’s plans for NATO by 2030 were progressive, “We have to look at the big picture. Because of the trends we are facing, everything leads us to deal with the short term,” he stated. He belabored the need for better communication and unity between the nations, suggesting the development of a “cloud sharing” program. “I am very confident in the outcome and output of these discussion which I’m sure, will strengthen the posture of the alliances in a very challenging period for peace and security in the Euro-Atlantic area,” stated General Mercier in his opening remarks.